Hello and welcome to Life Community Church. We are a Church of all ages, nationalities and backgrounds, who come together to worship Jesus. Everyone here is on a spiritual journey in their faith, from people just exploring Christianity, to people who have been Christians for many years. Everyone is welcome! When we gather on a Sunday morning, we come to worship God passionately, often with music, we thank and celebrate God because we believe that he has changed our lives. On an average Sunday morning, we will spend around 20 minutes in musically led worship, we then continue in our worship in giving back to God through receiving an offering (more about this can be found on our ‘Giving’ page.) After this, one of the team will come and bring an inspiring message to help us grasp the Bible and to see how it can be outworked in our lives. We love Leamington Spa, and we love being part of a fantastic church community that is really seeking to make a difference. The church has a rich history upon which we are building for future generations. The church building, formerly known as St. Michael’s, was built around 1900 and was the chapel to a girl’s reformatory school. During the 1930s, many families in Leamington Spa were becoming Christians, and so a Pentecostal movement bought the building, using it for regular church services. The church, now Life Community Church, is part of a network of Pentecostal churches called the AoG (Assemblies of God). 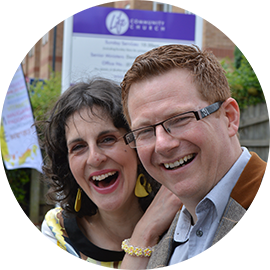 Even today, our dream is to see many more families in Leamington Spa and beyond, coming to faith in Jesus. 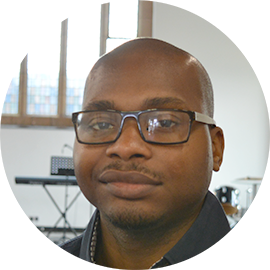 Today, we are a growing, exciting church for all ages and backgrounds, and God is drawing people to us from all nationalities. LCC exists to help people grow in a relationship with Jesus Christ. Whether people arrive with no faith and are exploring Christianity for the first time, or have been Christians for many years, there is a place for everyone. Our vision is to be a thriving community of people, growing in MATURITY. MINISTRY and MISSION. We believe that as people grow in their relationship with Jesus (maturity), help meet people’s needs in love (ministry), and seek to share the love of God and “Good News” with others (mission), they will experience fresh hope and purpose in life and will make a difference that will last forever. Our future is bright and full of purpose. We believe that as a church and in partnership with other people and organisations that we can make a difference. From helping people in our community who are trapped in poverty and homelessness, to reaching people on the mission field of India; we are playing our part to see our community changed. We hope you can join us as the adventure continues! Dave and Leanne are the Senior Pastors of LCC. Dave was born and bred in Bournemouth, Dorset, and was "sent" to Coventry to study at Uni, having settled ever since. 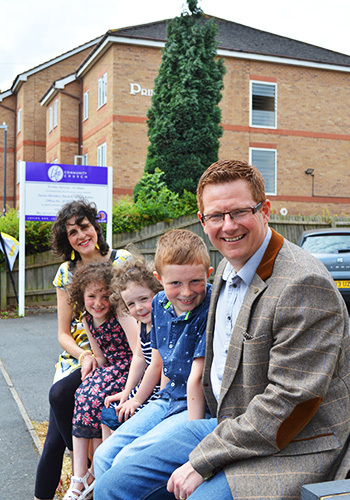 As Youth Workers, he and Leanne met, and they now have three beautiful children; Daniel, Sophia and Isabella. Dave is responsible for vision and teaching in the church, and is passionate about people growing in a relationship with Jesus...and curry! Leanne grew up in West Bromwich, but is also half Italian. She oversees the Worship team, and Flourish – our ladies’ ministry. Leanne has a passion to see people connect with Jesus for the first time. David is an Elder and Trustee of LCC having moved to Royal Leamington Spa some 10 years ago. David is married to Emilie and they have two very active children. David is an Employment Taxes Specialist, having worked in practice for over 14 years. David’s passion is celebrating the uniqueness of people and the different talents we all have to bring. David is a keen sportsman, often taking part in any sporting activities going – but equally, he forgets that he’s no longer in his teens! Annie is the Ministerial Assistant here at LCC, assisting with all aspects of ministry, with a particular focus on mission and student work. 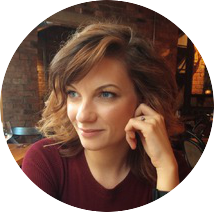 She is a Theology graduate from the University of Nottingham, having gone on to work in marketing and publicity, residential mission training, supporting world mission working with Global Connections, and opened a ballet school in India before landing in Leamington Spa. She loves being a worship leader, leading a life group with her husband, going on her travels, and writing when she finds the time.